The online version of this article (doi: 10.1186/s12879-016-2034-9) contains supplementary material, which is available to authorized users. 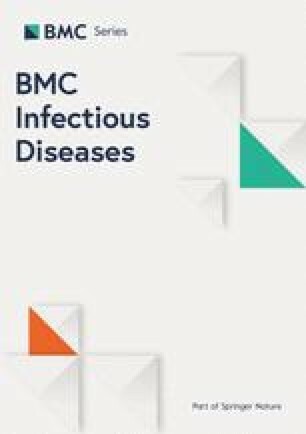 Meliodiosis, infection by the Gram negative environmental bacterium Burkholderia pseudomallei, is an important but frequently under-recognised cause of morbidity and mortality in Southeast Asia and elsewhere in the tropics [1, 2]. It was recently estimated that there might be as many as 165,000 cases of meloidosis worldwide in 2015, an annual incidence rate of 5 per 100,000 people at risk . Infection occurs following per-cutaneous inoculation, inhalation, or ingestion of the organism. The spectrum of infections is broad, ranging from minor skin or soft tissue infection to pneumonia and bacteraemia with a high mortality. Parotitis is a common presentation in children in Southeast Asia [4, 5, 6]. This may be the result of ingestion or aspiration of B. pseudomallei-contaminated water sources . Standard treatment of melioidosis consists of an acute phase consisting of intravenous ceftazidime or a carbapenem for at least 10 days followed by an eradication phase consisting of oral co-trimoxazole or co-amoxiclav for at least 12 weeks . Limmathurotsakul D, Golding N, Dance DA, Messina JP, Pigott DM, Moyes CL, Rolim DB, Bertherat E, Day NP, Peacock SJ et al. Predicted global distribution of and burden of melioidosis. Nat microbiol 2016;1:15008. doi: 10.1038/nmicrobiol.2015.8. McLeod C, Morris PS, Bauert PA, Kilburn CJ, Ward LM, Baird RW, Currie BJ. Clinical presentation and medical management of melioidosis in children: a 24-year prospective study in the northern territory of Australia and review of the literature. Clin infect dis 2015;60(1):21–6. doi: 10.1093/cid/ciu733.